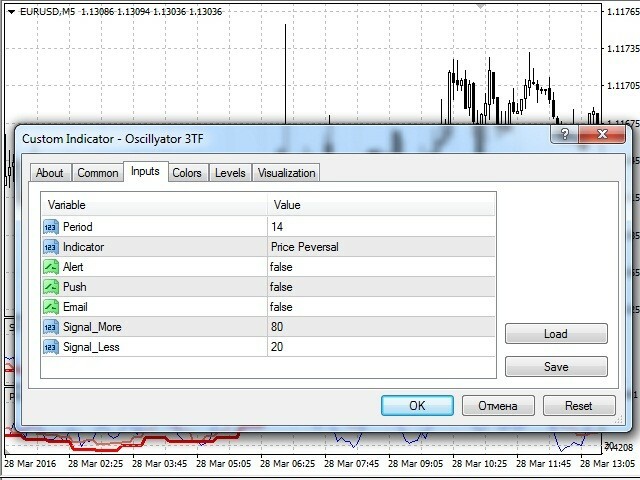 You may try the demo version (https://www.mql5.com/en/market/product/15566), which does not display data on the last 25 bars but is good for testing. 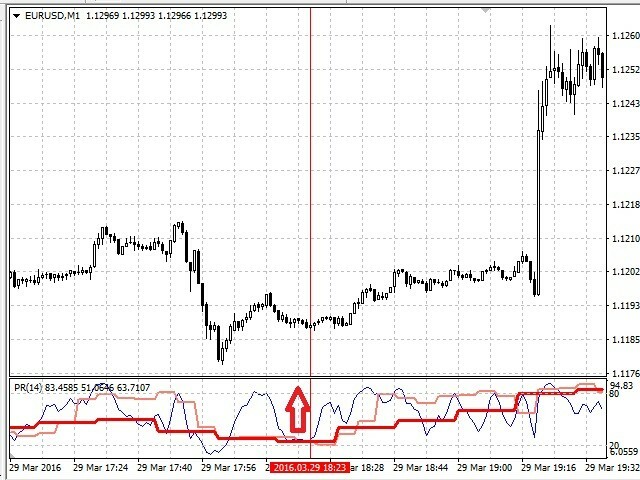 Oscillyator 3TF displays data on standard oscillators (RSI, MFI, STOCH, CCI, DeM, Momentum) on the current and two following timeframes. 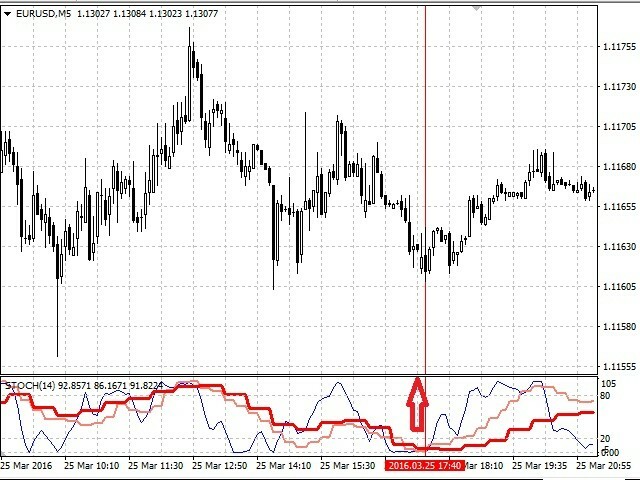 The modified version of Price Reversal oscillator is also added. 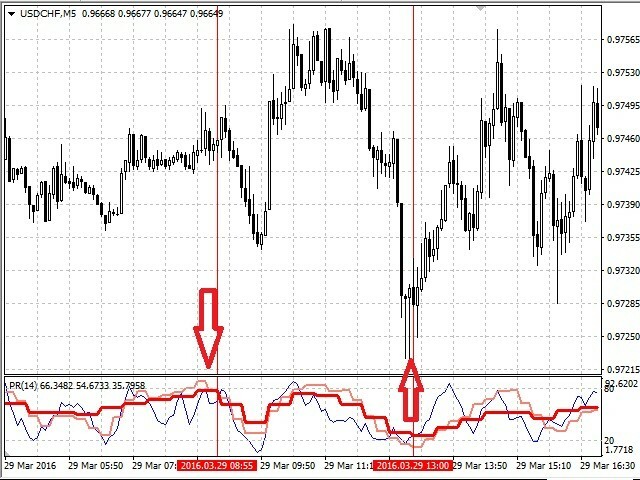 The indicator allows you to track the situation on higher timeframes and select suitable entry points when oscillator lines are in oversold/overbought zones. The indicator may notify of all three lines located in specified zones via alerts, emails, and push notifications. Period – indicator calculation period. Alert – set an alert when a signal appears. True – display alert, False – no alert. The default is False. Push – send a push notification to a smartphone when a signal appears. True – enable, False – disable. The default is False. Email – send an email when a signal appears. True – enable, False – disable. The default is False. 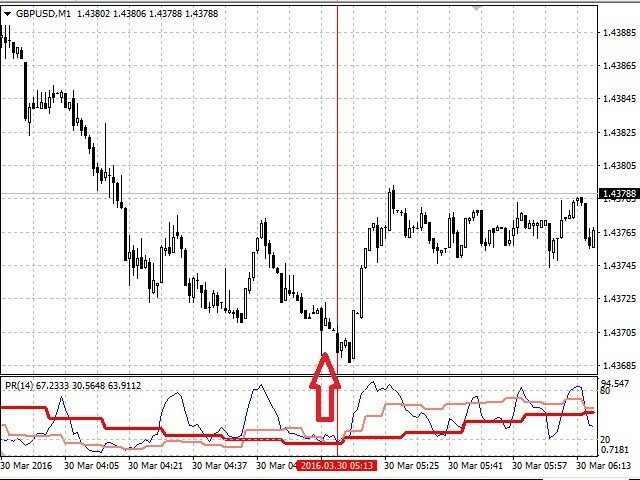 Signal_More – activate a sell signal in case a specified indicator value is exceeded by three lines simultaneously. 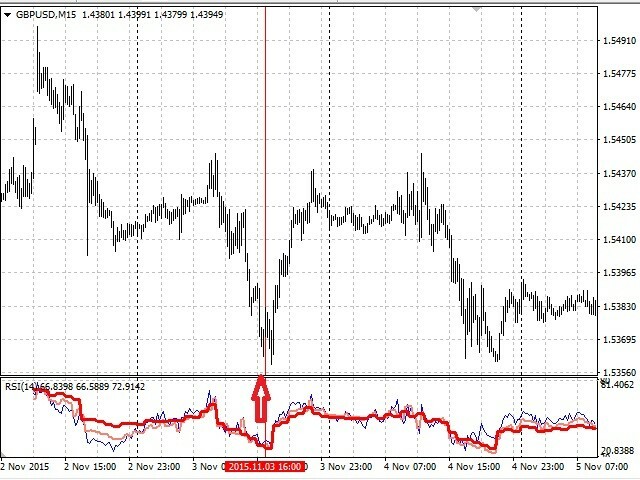 Signal_Less – value, below which a buy signal is activated. Looks promising, will update my review after some trades. Added alert for fast indicator line.